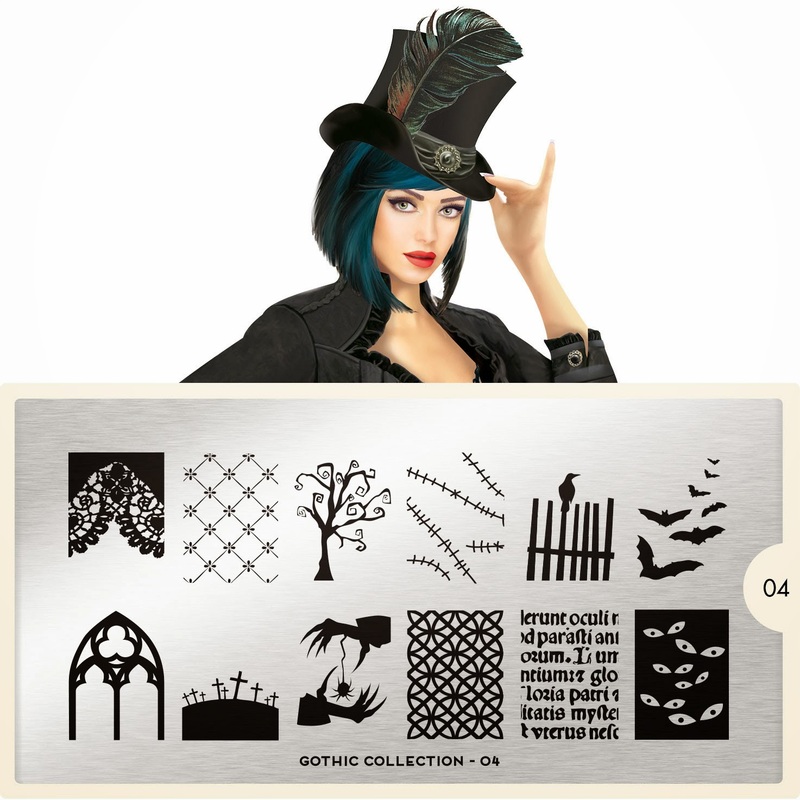 Lacquer Lockdown: Hot Off The Stamping Press: MoYou London Gothic Collection! 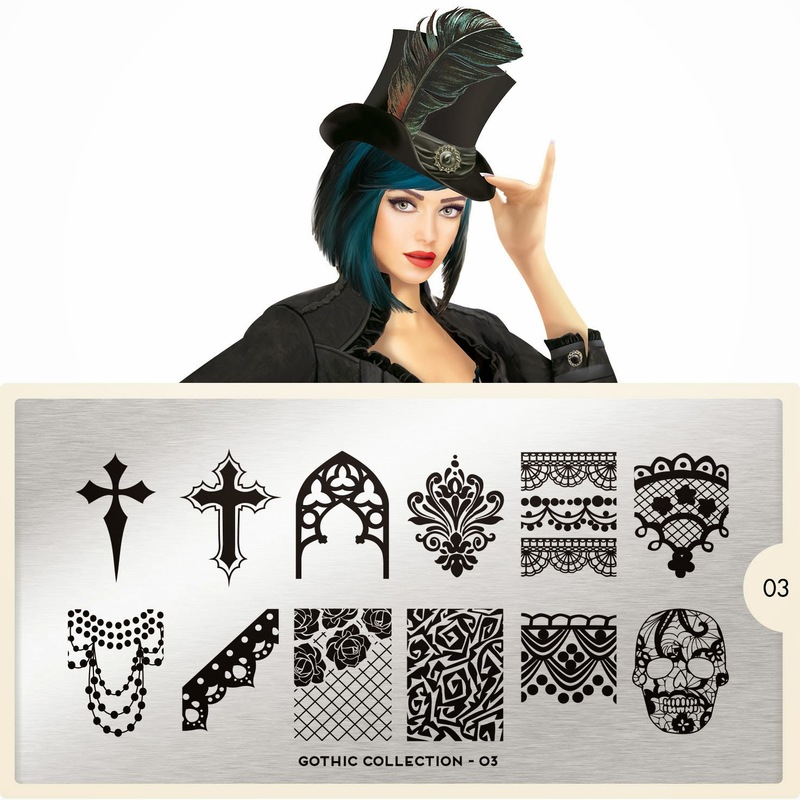 Hot Off The Stamping Press: MoYou London Gothic Collection! 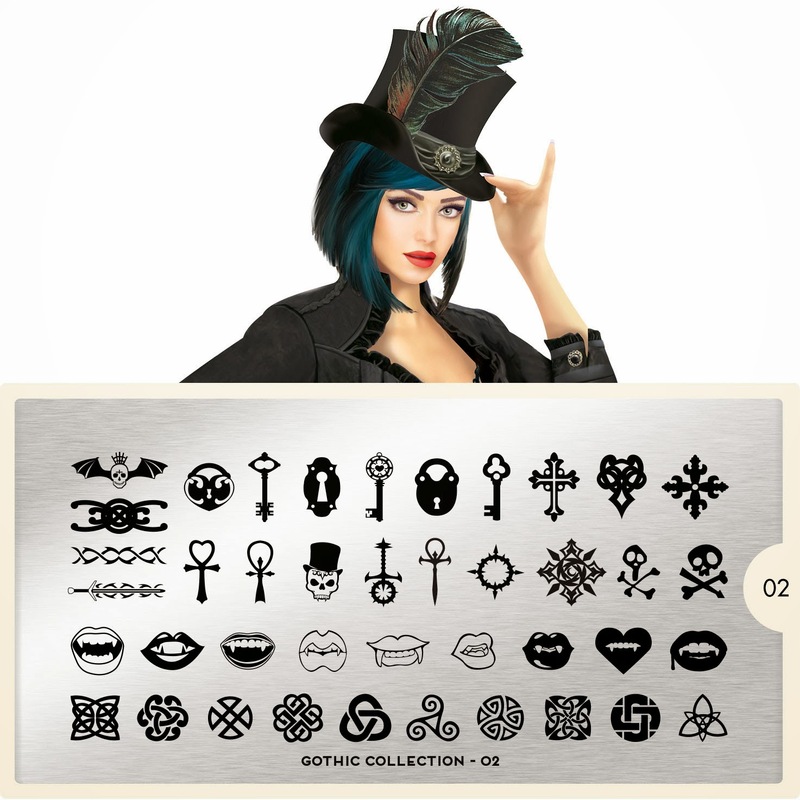 Meet Raven the maven heading the Gothic Collection! This mascot is seriously adorable and definitely a little sassy...so will the plates follow suit? I love what MoYou London tried to do here. Creepy meets cutesy....but. Ah you guys could feel the but coming couldn't you? 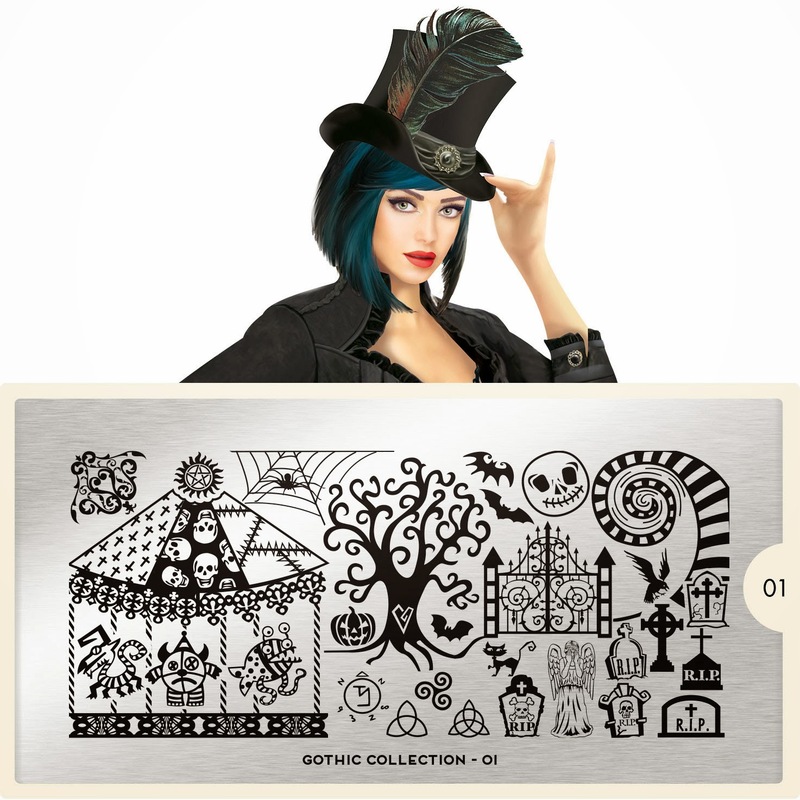 Sigh...these aren not unique plates and they are definitely aimed at the Halloween crowd which is all the more reason they should be unique since the market is saturated by Halloween stamping plate from lots of different brands. What I love on this plate are the monster thingies and the tombstones. Better. Finally moving into territory that fits with the mascot. Kudos on the lace skull and gothic architecture inspired image. The netted roses I have on one of my Lilic plates. I hope they make a smaller version of this plate as well! My current length nails are sadly probably too short for most of these images. Back into been there done that territory. What saves this plate for me is the typography. I am a sucker for typography and MoYou London always does it really well ! However the bats, the trees, the crooked tree, stitches graveyard. All recycled imagery.